TOOU is not just a producer. They strive to create objects through projects and a production that puts people at the heart of things. And by ‘people’ they mean everyone. Their design is democratic, accessible and customisable. 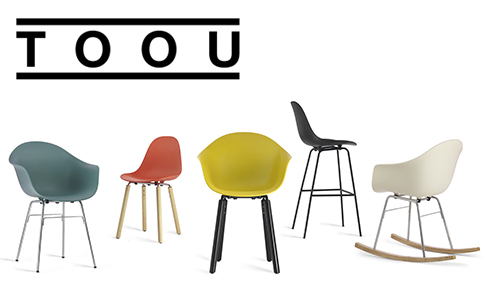 TOOU’s dynamic design combines contemporary taste with the tradition of the great design schools of the Twentieth Century. They deliver projects where technology is deployed in the service of the end user, through an optimised processes that produces comfortable, safe, and beautiful objects that are as aesthetically pleasing as they are practical. Their primary aim is that each object is desirable, affordable, and customisableTheir métier is creating objects that are durable in their design and aesthetics, and are never superfluous accessories designed for facile consumption that is dominated by ephemeral trends. TOOU’s products are everyday items that will become a familiar and comforting part of your day-to-day life, with features and profiles that will be an essential companion to your home.